Hannah Rivard – her whole essay for a scholarship with us, see it at this link, was really about this topic! By the time we’ve practiced a technique for long enough to get good at it, our horse is way too often dead to the usefulness of that technique and we’ve put so many braces and stuck spots and even resistances in there, that we are lucky that we have this work that we do here, to be able to release all those problems. By over-using a technique without consideration for whether it is perfect in THIS moment, we can kill our horse’s ability to express themselves and squash all willing “YES!” responses that we are looking for, out of them – we can “kill” the connection with our horse. When we put a leg here to block a shoulder, when we pick up a rein with too much turn in it, when we bend a horse further than they can go willingly, when we turn our bodies further than our horse can turn – all these things are techniques gone wrong – techniques of disconnection – techniques done without feel for whether they are right, for this individual horse, in this individual moment. In connection, we and our horse are seeking together, we are feeling in each other for the solution to any lack of freedom in our bodies, to any stuck spots, to any resistances, to any braces in our bodies, in whatever activity it is that we are doing – feeling for the perfection, seeking to feel good in whatever it is that we are doing. THEN a technique is not so much a technique, as a natural flow of conversation together, as we feel how to expand what works together and seek the best for each other. Frederic Pignon and Alizee Froment do not get these beautiful results by applying techniques that are not perfect in the moment. … and it IS available to we ordinary people! So how can we learn and practice what we need to learn? Learn your techniques by all means. They may be useful some day in the flow of the moment. But don’t get stuck in them, don’t disconnect from your horse with them by over using them or even by over practicing them. Practice them MINDFULLY. 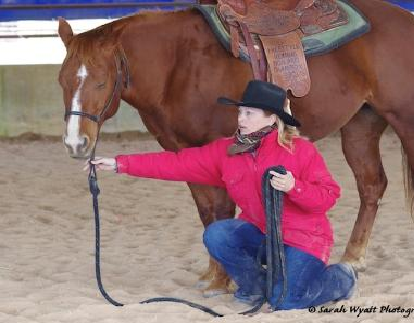 Asking your horse to help YOU to learn a technique can stop that sad spiraling into the disconnection that I see so often out there in the horse world. 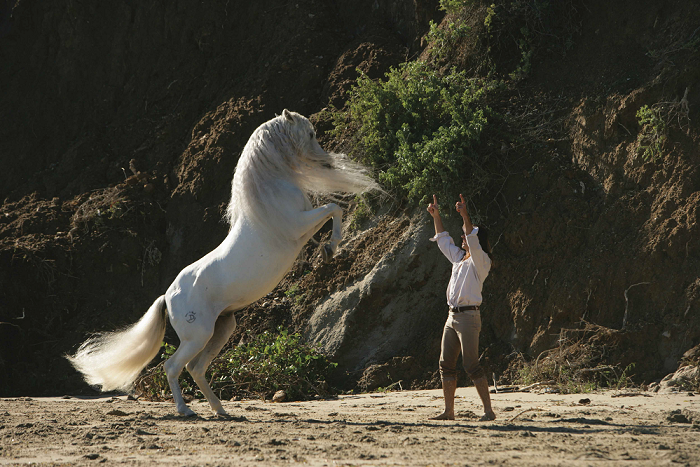 Find simulations where you can practice without your horse – stand there physically and go through the motions of doing your side of the task, or use your imagination to visualize what the technique is and IMAGINE yourself practicing it with your horse, but don’t practice it over and over again on your horse in disconnection just so that YOU can get good at it. Be guided by your horse in the moment as to what you do and decide not to compromise the mental, emotional and physical connection that you have right now. Before we have a look at an example of what I’m talking about, let’s start with what I look for in a horse and rider or horse and handler. I am looking for harmony and togetherness in mind body and spirit of both horse and the rider, along with health, happiness and mutually co-operation between the horse and person – the kind of thing that you see in the photos of Frederic Pignon with Templado and Alizee Froment with Mistral above and Noora Ehnqvist below. So let’s take the example of yielding the horses hindquarter – both on the ground and in the saddle and see how that fits with what I’m looking for. It’s an excellent technique which can be used to DISENGAGE the horse and bring them back to you, mentally and physically or it can be used more subtly to achieve the opposite result – to ENGAGE the hindquarters for building strength into both sides of the horse evenly, to help them balance and to elevate the horses back for more collection. It’s a fabulous technique. But ONLY if it’s done with connection and feel and IF it’s the right technique to use with this individual horse in this individual moment! Unfortunately it’s also a technique that over and over again I have seen done TO the horse and used in a way that DISCONNECTS – that has produces bracing and resistance and eventually that terrible damage to the horse’s body and despair in their minds that I talked about earlier. When it’s used with any force or “make”, however small, then it’s not going to produce the overall harmony and togetherness and joyful YES! with my horse that I am looking for. 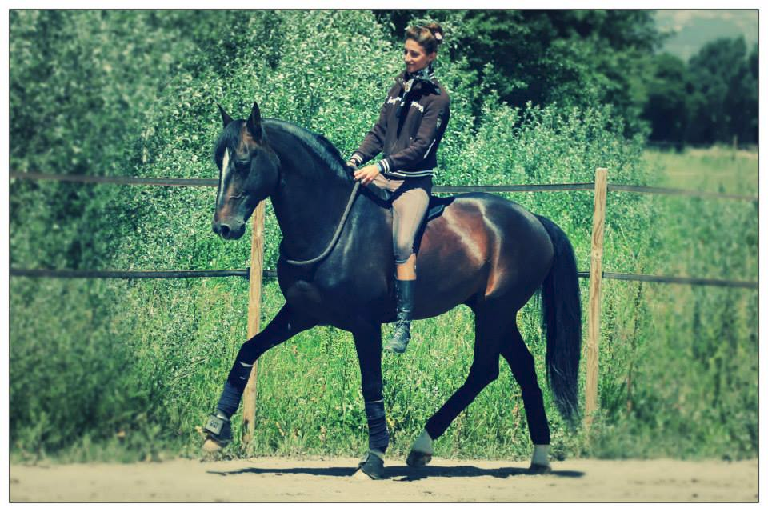 Noora Ehnqvist in this lovely photo with a horse in Finland that I pinched off her Facebook page, is using her connection with this horse that she met in a weekend clinic, in a gorgeous way. 1. You DO NOT have to repeat and practice the same thing over and over again to get good at it. I repeat, you DO NOT – even if repetition has worked for you in the past. That’s old learning theory and not what we use here. 2. We’re all unique, so the way in which we can best get techniques quickly into our brain and muscle memory will be different. This is the reason that so many people think they aren’t good at things, just because we’re different to the person next to us. There’s some great information about the different ways that people feel, in the free foundation lessons The 9 Keys to Happiness with Your Horse. 3. Use simulations, i.e. get creative about practicing getting good at a technique without your horse. Get the physical feel of the rope or reins in your hands and the turn and feel of your own body as you practice, maybe even have a person on the other end. 4. 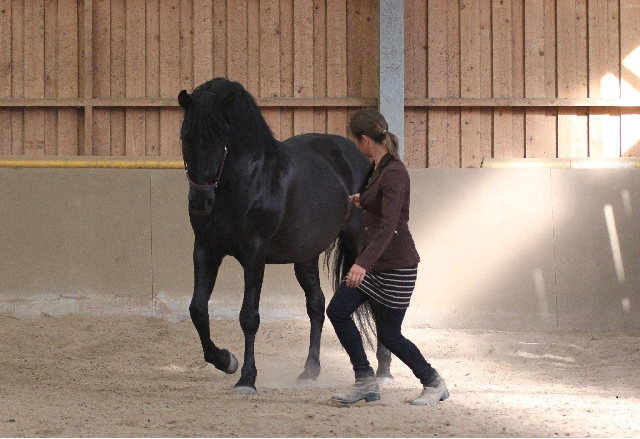 Both in your simulations and when you work with your horse, feel inside yourself, use the Inner Awareness that you started to learn in the free lessons The 9 Keys to Happiness with Your Horse and expanded so well in 21 Days to a Quiet Mind. 5. Use your imagination to visualize the technique and imagine yourself practicing it on your horse. 6. If you practice your techniques MINDFULLY and SLOWLY, you could even ask your horse to help you and learn it together as a feel good exercise. This is a big and wonderful concept! What other techniques do you see as being commonly used as the enemy of connection? 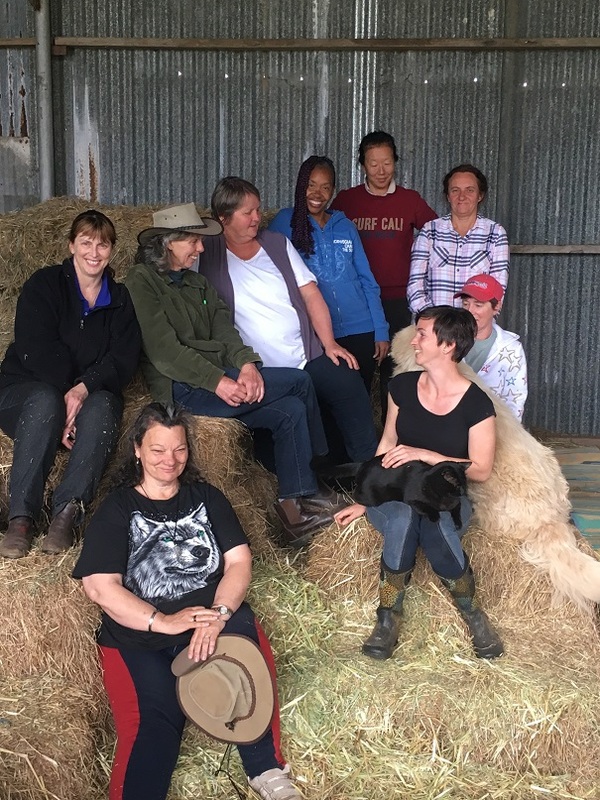 This is SUCH an interesting topic and so complex and so at the heart of our philosophy of working cooperatively with a horse, that I would love it if people would ask questions, bring comments and different perspectives in the comment section below, so that the whole conversation becomes a weaving of the article itself. EXTRA DELIGHTS FOR YOUR GOOD HEALTH! I made an executive decision recently and most blogs from now on are going to have some kind of extra delight for you or your horse’s health – maybe even for another animal occasionally. I wouldn’t go so far as to call it a newsletter, cos’ I don’t have time for that! I’ll just share some kind of tidbit to improve our lives. What simple and cheap to make at home food helps you to look younger while it gives a phenomenal natural boost to your immune system, reduces the inflammation of things like arthritis, leaky gut and other digestive problems, improves your skin and hair and nails from the inside out, supports cartilege repair as well as cardiovascular health, bone health, skin health, healthy cholesterol levels, tastes delicious and helps your mood. Which includes the chicken soup of our forebears – yes Grandma really knew what she was doing, even if it was someone else’s Grandma. If you don’t have the kind of stove that you can leave something simmering gently away for the traditional 18 to 48 hours, then use chopped up bones to get at the necessary bone marrow quicker (buy pre-chopped beef or lamb bones and whack the chicken bones with a meat cleaver to break them) and if my winter fire isn’t on for me to use, I use a pressure cooker to give the best and fastest results. Don’t get sucked into buying it as a pre-made supplement (Good grief what would grandma think!) And buy organic where you can and free range if you can’t get organic. And don’t forget to add all the lovely vegetables and herbs. Here’s a link to more information about it. We did a Facebook post on this article and I just wanted to share Caroline’s eloquent reply when I asked her what it was that she liked about the article when she shared it. There is no one part of your article I like. From the title to the exclamation mark at the end, it resonated. When you experience the difference between achieving something purely through technique, or achieving something through the combination of connection and technique, you cannot stop yourself from feeling joy, you cannot stop that uplifted feeling in your heart and mind and even your body. You cannot stop feeling or seeing your horse want to be with you, enjoying togetherness and understanding, integrating in your time together. You cannot stop a smile emerging on your face. Without connection it all feels flat, like you’re just doing stuff to your horse to make him move or look a certain way that for whatever reason you think or have been told, is how it should be. The joy does not come from your time spent with your horse, it only comes if someone else tells you to feel joy. You then start to rely on someone else telling you to feel good, you wait for permission to feel good. But I’m not even sure you do feel the ‘joy’, it can leave you feeling doubtful or not enough. You explain so well and in such easy terms the basics of this, and yet touch on the much deeper, damaging effects that would otherwise not be considered. You join the dots so to speak. It can be so difficult to explain this concept, but you do, and it’s easy to understand. The next part for any reader would be to experience the difference, if they’re not already. Here’s another thing I’ve noticed – they say that horses need a companion horses. But I don’t get a sad vibe from horses who have a good connection with their human. I do sometimes get a sad vibe from horses who have other horses but who don’t have a good connection with their human. Hmmm… That must mean that I just haven’t come across a horse who has a good enough connection with their human to forgo horse companionship happily. I’ve only come across unhappy ones. I can’t imagine how it works though? How does the horse sleep relaxed with no other horse to watch over them while they sleep? How can they relax during the times that the human isn’t in the pasture with them? Interesting to think about June, thanks. I guess like everything else, each individual circumstance is unique. And yes, it is sad when there’s no connection with their human, specially in circumstances where they’re being ridden like that. I was trimming a mini stallion the other day. The owner remarked that when they first got him two years ago, they knew nothing at all about horses, but that they’ve been “working on getting a connection.” There are four kids in the family, and the oldest – a 9-year old girl- is the stallion’s special buddy. 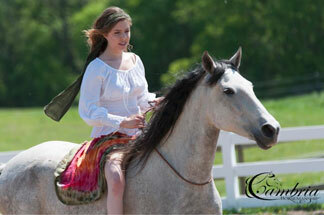 My client said that her daughter has really gotten it – the little horse follows her around without a leadrope. I thought how nice that they have figured this out for themselves with no one telling to do it any different. thank you jenny for a wonderful post – and how right you are! it took me years to get this. I’ve discovered that my early riding training taught me disconnection because i learned to ride an already tacked up horse without learning to communicate and so i deeply ingrained the separation of the technique from the whole horse, its environment etc. through my mare i have learned that connection or lack of is the same on her back, ground, riding, playing, feeding, and no equipment brings it if it isn’t there in the moment. I’ve always felt that people who ride an already tacked up horse that they have nothing else to do with, are seriously missing out on the best part of the horse experience. A bit sad really – for horse and rider both. Great article Jenny. 2yrs ago Bodacia came into my life. A Kaimanuaw 8yr old mare from the only wild horse herd in New Zealand. When we got her she was very angry and would swipe her head around to try and bite, almost impossible to catch. This was after leaving her turned out with our other two for 10days and pretty well ignoring her. This gave me time to think about this little horse. I ignored her bad behavior, and my friends etc. advise on how they would “sort her out”. In my experience, every horse is different and have to be handled accordingly. After a month or so, she let me catch her and the biting attempts ceased. After 3mths – although still wary of me , I noticed she would stand and watch me handling her paddock mates and they always get lots of “cuddles”. One afternoon she gently nudged me in the back while I was with the others. For the first time she let me cuddle her ears, etc and followed me every time I went into the paddock. We haven’t looked back since and she is a lovely affectionate addition to our family. I could of course have forced her with techniques but you never get a connection without a relationship and love. Too many horses are ‘moved on’ because people don’t treat them as a living bean. I am obsessive about bitless riding – havent used a bit in 15yrs and never will again – this lesson I learned from one of my other mares and she, bless her, taught me the fear she had of the bit. Someone once said “the more we use our reins, the less our horses need to use their brains” so true like you always say we need to listen to our horses and join with them. What a gorgeous story Sandra – thankyou for sharing it. What happened was that she learned from your other horses hey? They will, WHEN the other horse is in their deep comfort zone. Such an easy way to bring her around, just by example. Bless you! Making stock is something I have always done. However, where I live in Portugal the majority of animals are kept inside and are effectively factory farmed. The only exception are sheep and goats, who go out with the shepherd for grazing.Also I suspect the Aberdeen Angus breeders have their cattle outside, as it is a breed that you cannot get to grow fast by stuffing it with corn.Some chickens are allowed to roam, but most animals will be fed corn with GMO content. I cannot get the Angus bones, as it arrives prepacked to the supermarket that sells it. Lamb is pretty expensive, so only an occasional buy ,as is the chicken.My question is, does the benefit of bone broth outweigh the negative of a non natural lifestyle of the animals it came from? I think you’d have to check that out on an individual basis Oriana. Kristina (my old working student who is now in Perth) can just look at things while she’s feeling into her body and know whether they are right for her or not. I do kinesiology with my fingers standing in the supermarket aisle. Or you could take your pendulum shopping. 🙂 Gosh do you have a lot of GMO corn in Europe? I thought the USA was the only really big source. Sheep bones do well for a bone broth, I’ve got some at the moment in the slow cooker – thanks for reminding me of the slow cooker whoever it was! Even Not Quite Rights about food, like the effect of lifestyle on the food source for example, will have something for us to know or do about it and I’ve been surprised when I’ve looked at it, that the answer was very often not what I thought it was going to be! Funny that – The Universe at work. Well done, good outcome. Hi Jenny, tension – um why was Sasha choosing to walk sideways away from me this morning as I brought her up the paddock, at liberty, away from the other horses? I tried walking away from her and she sort of followed me better but still each time I headed for the gate she went sideways but at the same time was watching me intently with this massive question mark in her eyes! I stopped, thought, tried to listen to my body and wham there it was my elbow closest to her was tense, I conciously released the tension and proceeded to walk to the gate and dear Sasha came with me immediately! Poor girl had been getting a mixed message ‘come with me to the gate but go away from the elbow’. No wonder she was doing a very good interpretation of a crab!! Wow Mary – you ARE escalating each other into excellence! The only thing I could possibly add to that is to notice if sh is calling tension to your attention too often, then Quiet Mind whatever is BEHIND it, so that it’s gone on auto pilot, rather than consciously released. Well done both of you – and how COOL that Sascha is so confident in being listened to! Although I definitely think that techniques are valuable things, and I have been studying natural horsemanship techniques for more than 10 years, Jenny is absolutely right, that they can get in the way of connection, and it is really a challenge to unlearn the habits that I have established over that long period. I think that it is probably a tendency of people to try to use their hands to solve a problem, before they use their feel, and, before you know it, the horse is starting to respond, if at all, more like a robot, and not like a partner or willing participant. 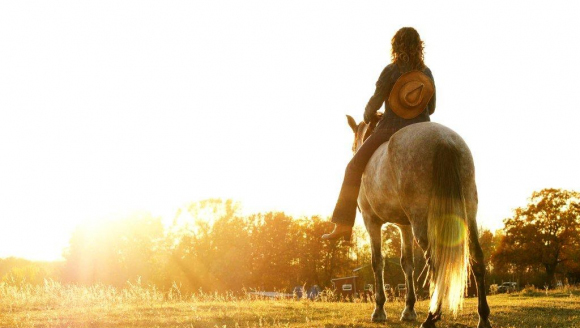 Although natural horsemanship talks about wanting the horse to be your partner, I haven’t seen any prominent natural horsemanship trainer that can articulate how to learn the feel that it requires in the human to achieve that true partnership. I think that was why, when I found Jenny, her approach really spoke to me, and felt like it was what I had been looking for in natural horsemanship, that I hadn’t been able to find. Feel and connection are everything hey? Without them we may as well have a motorbike on the other end. Hi to Hannah! Was so surprised to see her name at the top of this article! Loved the article as well…thank you! She’s gorgeous isn’t she? A very special young lady. There’s another article of Hannah’s here on my website, where she’s talking about her experiences after she had won the GoldStar Scholarship here. Here’s the link. And another one with more detail about her bridle-less experiment at this link. Gosh this girl can write! Great little article, I was new to Natural Horsemanship last year when taking a beautiful but fearful Fresian on loan thinking she just had napping problems. Cut a long story short I worked with NH for 3 months, two hours a week being trained by an expert in the ground skills, practiced in the week but became disillusioned when it was not working for me. We only got results when my trainer turned up so I blamed myself, stopped the work and beat myself up. It has taken me until the last two months to realise it was not working because I could not implement that kind of training, my gut instinct told me no and this is exactly what you are saying here, repeat and repeat until the horse becomes submissive but unchanged. So glad I am working on the relationship and soon to be working with my horse to get us right together. Gosh! All my horses must be caretakers then! They all four have a tendency to just stop dead if they’re not sure and then walk backwards if you insist too hard. Well, good – I’m too old to be riding a non-caretaker!!!! Thanks for that insight. Thank you Jen for all your detailed advice sharing & recipes now too!! What a bonus. Love your work & your website is so helpful as I am achieving some wonderful results now. You are amazing & forever grateful. Cheers xo 😉. Such a beautiful articulation of such a beautiful, lifelong goal. Chicken stock has become a real passion of mine and have been making it regularly for past 18 months,I use the slow cooker jammed full of carcasses and a few veg and cook it overnight and wake up to yummy smells and then it sets to this great jelly. So much fun. If you’ve got the jelly happening, you’ve got the goodies in it. Thanks for that. I can’t believe that I forgot the easiness of doing it with the slow cooker! That’s a good one Deb – perfect obedience brings to mind a shut down automaton, and yet, a horse willingly saying YES! really is perfection, hey? Thanks for sharing this Jenny, good advice as usual and I love your tidbit! I’ve been using bone broth for a couple of years now to heal my gut and it’s working well – something so comforting on a winters day. One thing I do is to save all the bones from my plate (chicken legs,wings,carcass, lamb and beef bones) in the freezer and cook up when I have a pot full. That’s a good point Cynthia – broth made out of cooked bones are even better apparently. Granny’s frugality had a big health benefit!